Flying the Emirates A380 in First Class a second time! This is a continuation of my round the world trip in August/September 2014. The other components in this non-traditional trip include Flying Emirates A380 in First, Saturday Special: Grand Hyatt, Dubai, Saturday Special: Grand Hyatt Singapore. Around midnight we decided it was time to leave the Grand Hyatt Dubai, to head to the airport for our 3:05am flight. For this flight, we ended up taking a taxi because we weren’t able to set up the pick-up. Once we made it to the airport, we were air side in no time at all. 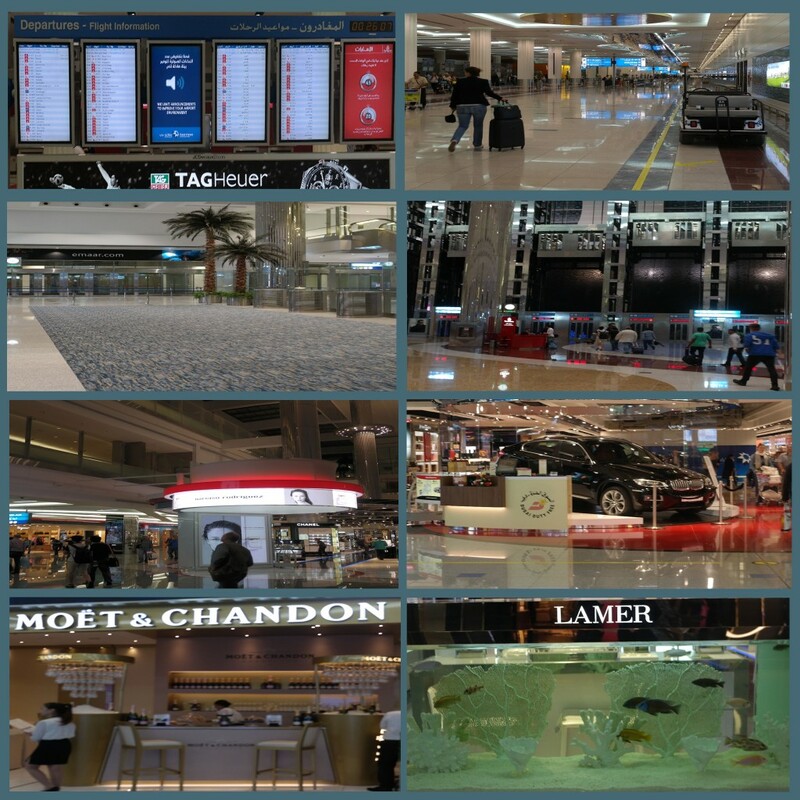 Since we were going out of Dubai’s “A380 Terminal” (Believe its Terminal A), we took an underground train (photos above), and wandered through some of the high end shops on the “main” level. We even stopped at the Emirates shop and bought a 1/200 scale A380 in Emirates Livery (word to the wise: it’s a pain carrying a 1/200 scale A380 through 4 countries, and 6 flights). After a few minutes we decided it was time to head up to the First Class lounge level. Yep, an entire level, and yes, it was that cool. 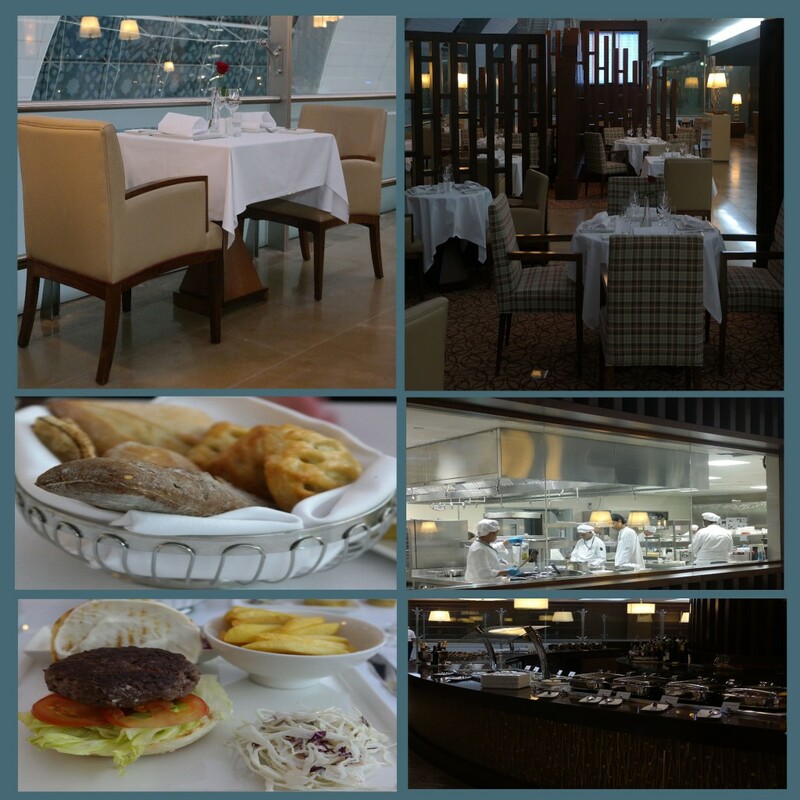 The Emirates First Class Lounge is on its own level. Its pretty awesome. First of all, it spans the entire terminal. 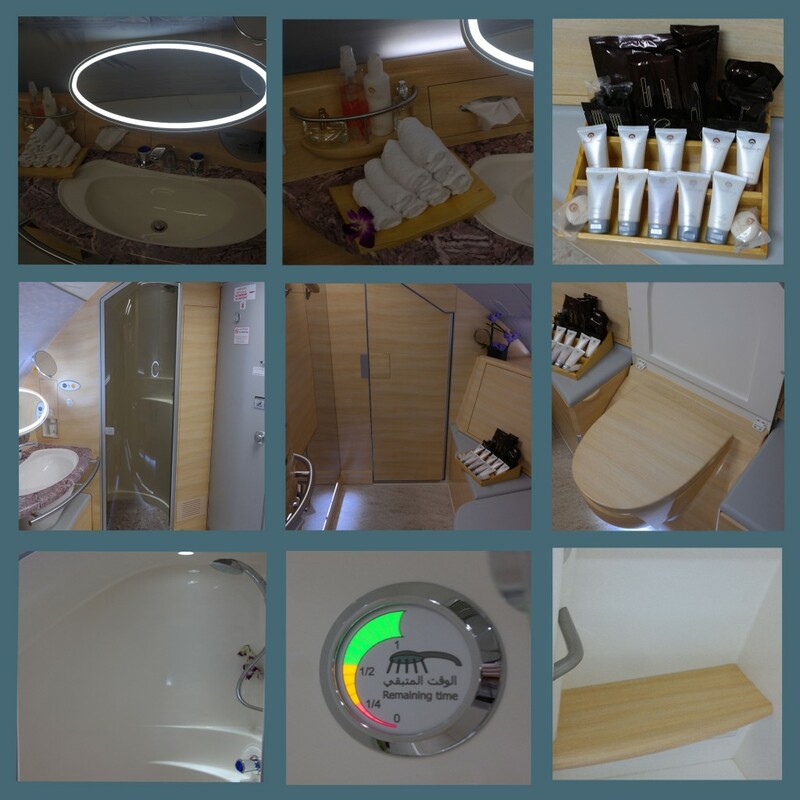 There are also showers, “fine dining” restaurants, lounge areas with food laid out (buffet style), a cigar lounge, a children’s area, the list goes on. 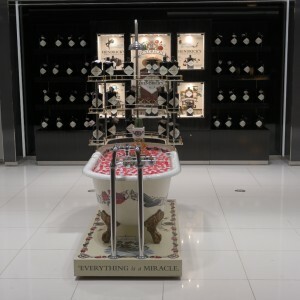 There are also a couple of duty free stores selling some of the nicest liquor that I’ve seen in an airport, oh, and a bathtub of Hendrick’s Gin. 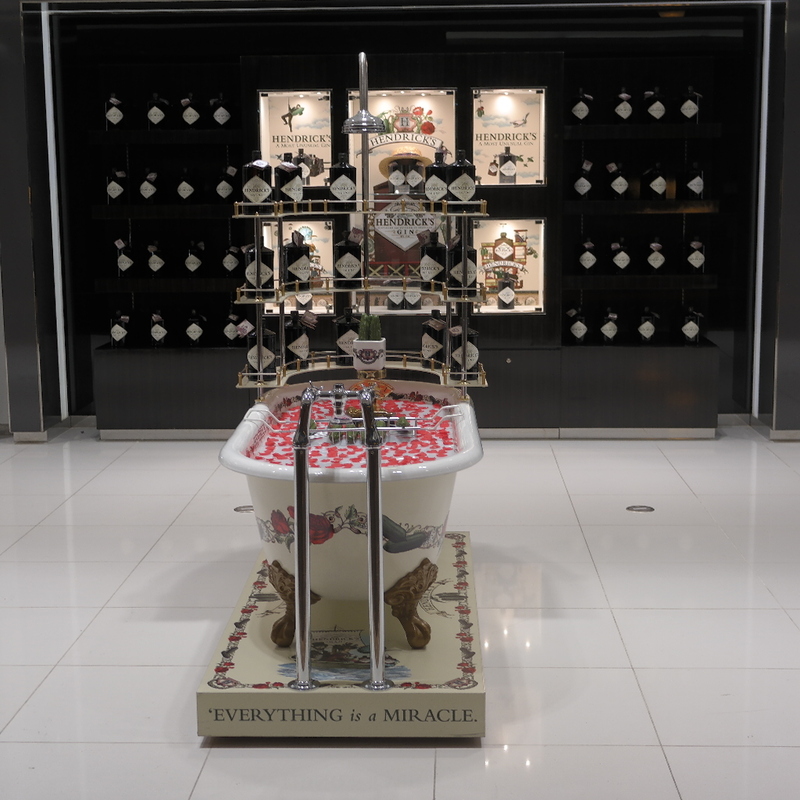 The Emirates First Class terminal takes bathtub gin to a whole new level. Oh, and they also have a spa, but I was looking forward to getting my 15 minute foot massage that I completely forgot to snap a photo. Since we had a late flight (like, you know, 3am, so maybe just early? 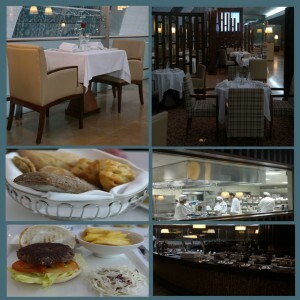 ), we decided to have dinner “fine dining” style at the sit down restaurant. I was still feeling conservative in my food choice, so I went with a Wegyu Beef Burger. It was a first for me, and boy did it taste amazing. Before we knew it, it was time to go. As I consider the terminal as a whole, I dare say though that I like the Lufthansa First Class Terminal more, other than that phenomenal Wegyu Beef Burger. 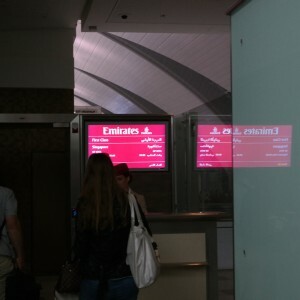 As Emirates (and it seems all Middle Eastern Airlines) seem to do, they declare final boarding virtually immediately after they declare the flight is ready to board. Boarding the Emirates A380 from the Emirates First Class Terminal. 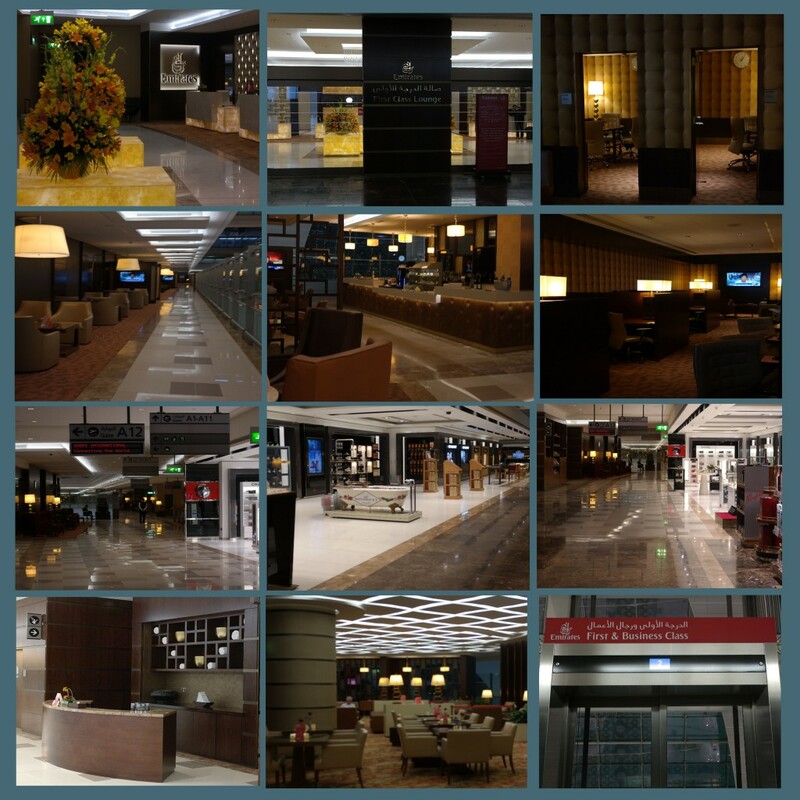 They do have elevators to take to the jetway, but its important to consider that the elevators first go straight up to the Business Class lounge, and seem to fill up when they make it to the First Class lounge level. We chose instead to go up to the Business Class lounge, then go down to the jetway. It was good because the elevator would’ve been completely full when it got to us, had we not. 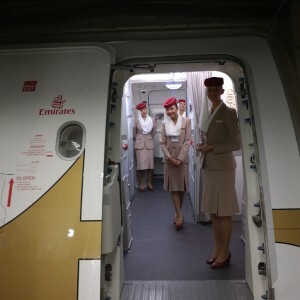 Boarding the Emirates A380 via Door 1UL. You can check out a more thorough set of photos in the previous post (as this post is getting long). As we finished boarding, I chatted with the purser, who mentioned that it was a light flight. Don’t quote me on the number but I think it was in the realm of 159 passengers on board. Pretty light to be flying an A380 (if you ask me). I wasn’t complaining though. Remember I mentioned that unweildy 1/200 A380 model? Well, the only “safe” place I could find for it was where the duvet was kept. 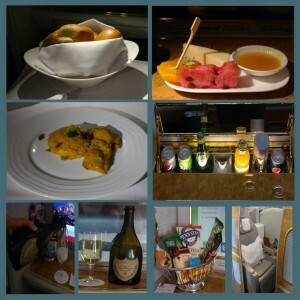 Luckily the flight attendants were understanding… I even tried to hide it while I enjoyed my champagne.. What do you think? Did I succeed? Toasting some Dom Perignon 2004 and trying to hide the huge 1/200 scale A380 behind me. Before long it was time to take off. 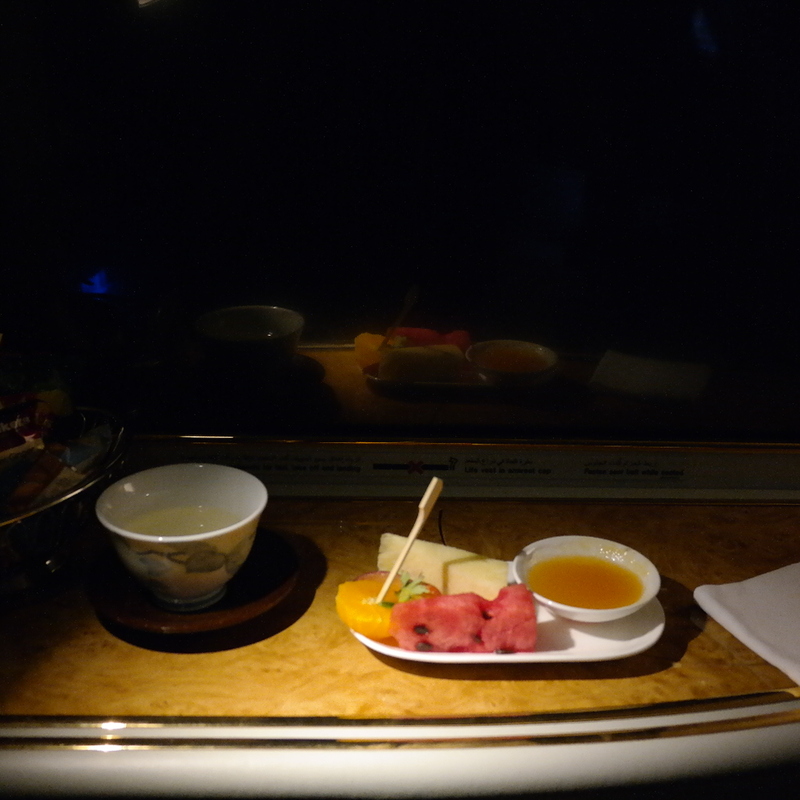 The meal service was kind’ve on the light side since it was an 8 or so hour flight, and we were still pretty tired. Here’s a selection of the food. 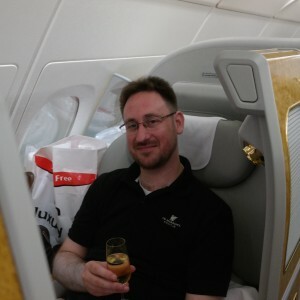 As is customary (it seems) on Emirates, I made sure to schedule my shower (as I recall, it was before we even took off). I wanted to shower about 2 hours outside of Singapore. I had been sleeping but the flight attendant was kind enough to wake me. I’m sure no photos of the Shower Spa do it justice (well, except a selfie, but, I passed). A few words on the Shower Spa. First, they give you two sets of toiletries, one to relax, one to refresh. They were both great, although the only thing I remember as striking was the body scrub (they also provide Loofah’s). You’re provided 5 minutes of water, and told the Shower Spa experience is expected to be about 20 minutes. There’s also a television with the airshow in the bathroom, lest you are curious where you happened to be showering at 40,000 feet. The floor is probably the first lavatory floor I didn’t mind walking around barefoot on, it was heated too. The shower area is roomier than some showers I’ve been in on the ground, there’s also a bench. Finally, the temperature is spot on, and it got better and more consistent water pressure than some hotels. After the shower, you’re presented with some fruit and some tea. 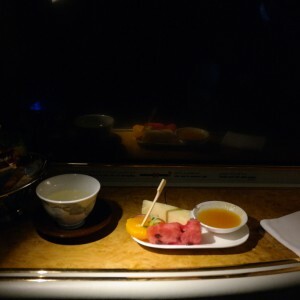 Before landing, we were also offered a snack. 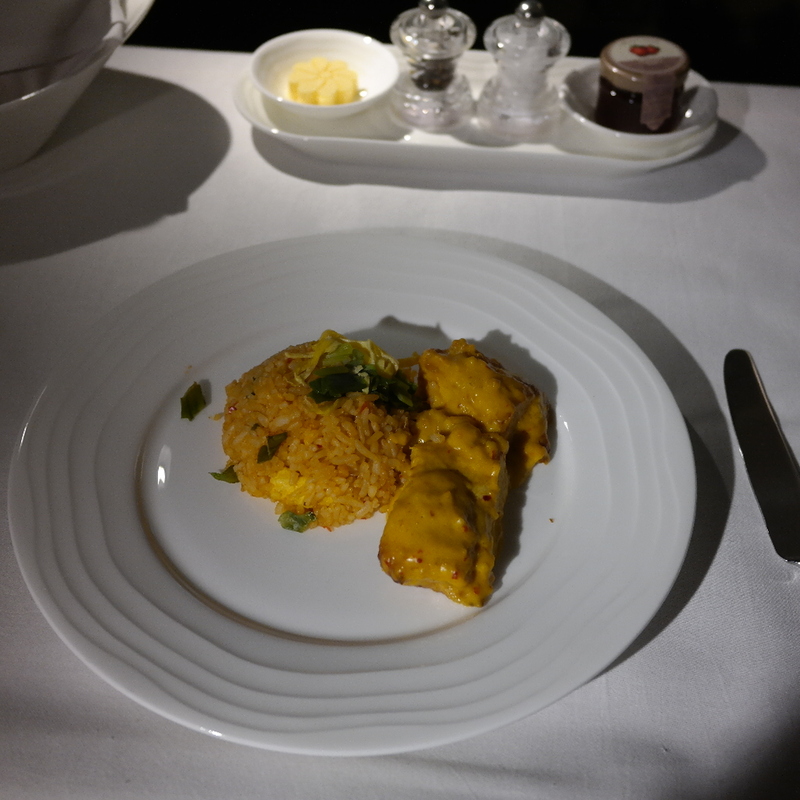 I had Nasi Goreng (Indonesian Fried Rice and Chicken). It was quite spicey, but, it took the edge off. Arriving, we were among the first folks off, however we had made a strategic mis-step in the selection of our customs lane in Singapore. Lets just say, our driver was quite curious why we took so long. Eh, you win some you lose some.